I obtained my PhD from UCLA where I studied x-ray crystallography and DNA structure with Richard Dickerson. 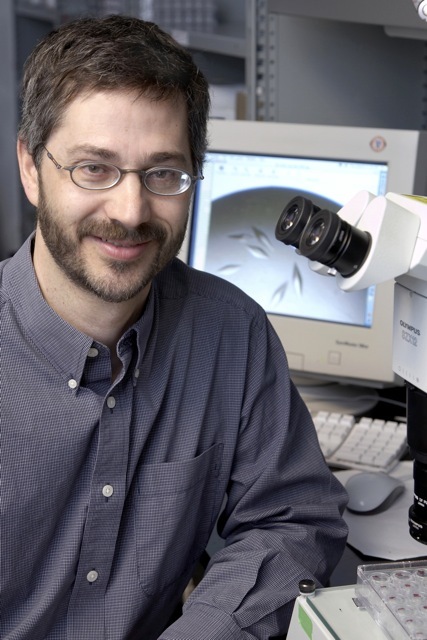 I then shifted my interests to protein structure and was a postdoc with Sung-Hou Kim at Berkeley, followed by a second postdoc position at UCLA in the labs of David Eisenberg and Ron Kaback. During this time, I got hooked on two research directions that I still pursue to this day – the family of BTB-domain containing proteins and membrane proteins/lipid binding proteins. In addition to my position in the Department of Biochemistry, I am a Senior Scientist at the Princess Margaret Cancer Centre. Projects in my lab are centered on understanding biological processes at the atomic level. 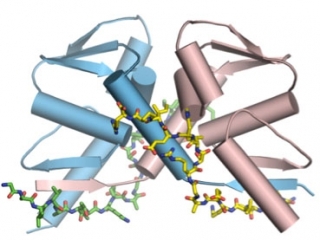 How do proteins carry out their biological functions? How do proteins recognize their binding partners? We use the tools of biophysics and structural biology to address these questions, and follow the biology into cell-based systems whenever possible. As part of the Princess Margaret Cancer Centre Research Institute, my lab is located in the Princess Margaret Cancer Research Tower (PMCRT, formerly the TMDT)/MaRS complex. We are fully equipped for all aspects of structural biology, including robotics for protein crystallization and x-ray diffraction data collection. Our research centers on the study of protein structure and molecular recognition, with an emphasis on understanding protein-protein, protein-peptide and protein-lipid interactions. Transcriptional regulation complexes are large, multicomponent assemblies involving proteins with various enzymatic activities, adaptor functions and DNA recognition modules. We are looking at interplay between the components of these assemblies in order to understand the structural “logic” of how these complexes carry out intricate biological activities. We are studying a family of BTB-zinc finger transcriptional regulators that include proteins implicated in development and/or in cancer. In these proteins, the BTB domain is a protein-protein interaction module that recruits activator and/or corepressor complexes to promoter sites recognized by the C-terminal zinc-finger regions. Our objective is to understand and characterize the protein-protein interaction network of these proteins. For example, we have determined crystal structures of complexes between the BTB domain of BCL6 and the minimal binding region of the SMRT, NCoR and BCoR corepressors. BCL6 is a key oncoprotein in B-cell lymphoma and exerts its biological effects through its interactions with HDAC-associated corepressor complexes. The structures reveal a peptide binding groove on the side of the BCL6 BTB domain dimer that forms the binding site for the corepressors. This detailed atomic view of the interactions between the two proteins identifies a key pocket that can be targeted with small molecule inhibitors. In addition to transcription, a key regulatory mechanism for the control of cellular programs involves the targeted modification of proteins with ubiquitin and ubiquitin-like proteins. One of the largest families of proteins involved with this process are the Cullin3-Ring-Ligases (CRL3s). This E3 ligase family uses Cullin3/Rbx2/BTB adaptor protein complexes to bring a ubiquitin-charged E2 protein together with a substrate protein destined for ubiquitination. Driven by BTB domain self-association, the CRL3s assemble with multiple copies of each of the protein components. This produces complexes with multiple E2~ubiqutin binding sites and multiple substrate binding sites, and we are studying how the multivalent architecture of the CRL3s affect substrate ubiquitination. Another area of focus in the lab is the mechanism of sphingolipid metabolism in the cell. Sphingolipids have roles in cell integrity and cell-cell recognition but can also can act as signaling molecules in cell growth and apoptosis. As a result, lipids such as ceramide and sphingosine-1-phospate have been implicated in tumor promotion. Sphingolipids are in constant flux in cells, and the enzymes that modify and breakdown these lipids generally require a “sphingolipid activator protein”, or saposin. These saposin proteins interact with both membranes and proteins to assemble catalytically active complexes, and we are interested in the mechanism of the saposin activation reaction. The small saposin proteins can access a surprisingly wide range of physical states with lipids, bilayers and proteins. Some saposins act as “physiological detergents” and can solubilize target sphingolipids, while others assemble membrane-bound enzyme complexes at the bilayer surface in a form of interfacial catalysis. Structure of Human Acid Sphingomyelinase Reveals the Role of the Saposin Domain in Activating Substrate Hydrolysis. Xiong ZJ, Huang J, Poda G, Pomès R, Privé GG. Ji AX, Chu A, Nielsen TK, Benlekbir S, Rubinstein JL, Privé GG. Picodiscs for facile protein-glycolipid interaction analysis. Leney AC, Rezaei Darestani R, Li J, Nikjah S, Kitova EN, Zou C, Cairo CW, Xiong ZJ, Privé GG, Klassen JS. Ubiquitylome analysis identifies dysregulation of effector substrates in SPOP-mutant prostate cancer. Theurillat JP, Udeshi ND, Errington WJ, Svinkina T, Baca SC, Pop M, Wild PJ, Blattner M, Groner AC, Rubin MA, Moch H, Privé GG, Carr SA, Garraway LA. Adaptor protein self-assembly drives the control of a cullin-RING ubiquitin ligase. Errington WJ, Khan MQ, Bueler SA, Rubinstein JL, Chakrabartty A, Privé GG. PagP crystallized from SDS/cosolvent reveals the route for phospholipid access to the hydrocarbon ruler. Cuesta-Seijo JA, Neale C, Khan MA, Moktar J, Tran CD, Bishop RE, Pomès R, Privé GG. A small-molecule inhibitor of BCL6 kills DLBCL cells in vitro and in vivo. Cerchietti LC, Ghetu AF, Zhu X, Da Silva GF, Zhong S, Matthews M, Bunting KL, Polo JM, Farès C, Arrowsmith CH, Yang SN, Garcia M, Coop A, Mackerell AD Jr, Privé GG, Melnick A. Crystal structure of a self-assembling lipopeptide detergent at 1.20 A.
Ho DN, Pomroy NC, Cuesta-Seijo JA, Privé GG. Structure of a BCOR corepressor peptide in complex with the BCL6 BTB domain dimer. Ghetu AF, Corcoran CM, Cerchietti L, Bardwell VJ, Melnick A, Privé GG. Sequence and structural analysis of BTB domain proteins. Stogios PJ, Downs GS, Jauhal JJ, Nandra SK, Privé GG. Mechanism of SMRT corepressor recruitment by the BCL6 BTB domain.